Had a long week and need a pick-me-up? If you're stretched a little tight (it is the end of the month after all), we've got a list of budget products that you can order. They're all under INR 299, so go ahead and treat yo' self. Too much on your plate? Start your day by writing down your own to-do lists. This pretty pad lets you jot down everything you've been meaning to do but always forget. Globe trotters, travel in style with these trendy luggage tags. Ditch the basic, instead, pick from a cute elephant, butterfly or poodle, pretty florals, prancing flamingos or balloons. Skin woes? This natural face gel helps your skin get rid of acne, tanning, pigmentation, blackheads and more. It's gentle and very efficient, so you get to enjoy clear, fresh looking skin. Get the best grip on your phone with these cute Pop Sockets. It helps fit your phone comfortably in your hand and also works as a trendy accessory for your phone. 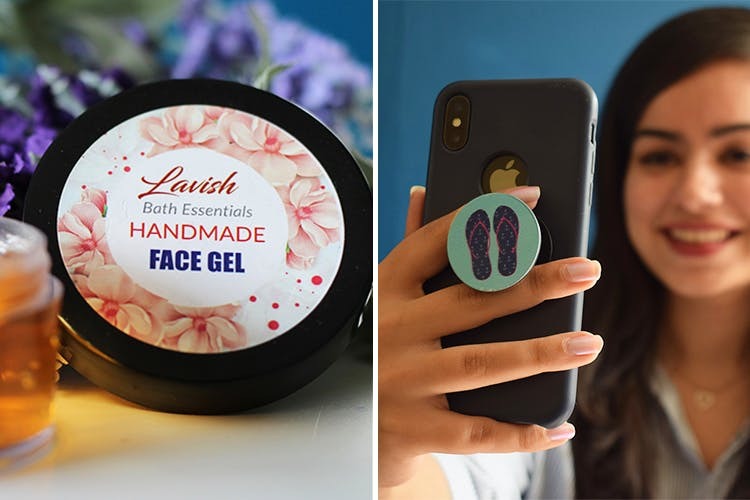 A versatile socket which is a stand, provides better grip for your phone so you cando stuff like taking selfies and watch videos with more ease. Pick from one of the exciting designs. These yoga socks will make your yoga practice so much easier. They provide physical balance by helping you stay put on your sticky mat, glide through transitions and settle deeper into your practice. They're also anti-bacterial and anti-skid, so if you're someone who does yoga regularly, you need these socks.